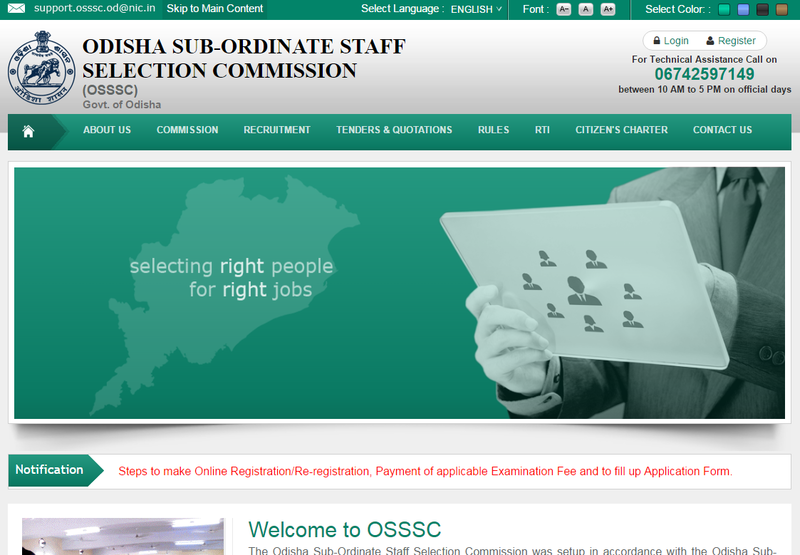 OSSSC Odisha Recruitment 2018 - Odisha Subordinate Staff Selection Commission Check here complete details, application fees, exam date. OSSSC Odisha Recruitment 2018 - Odisha Subordinate Staff Selection Commission has released Officially Recruitment Notification for warder posts , get here Online complete details, Age limits, application fees, exam date & number of vacancies. Apply for odisha warder post before last date as given below. Get Here Category-wise application fees for OSSSC WARDER post : - for General/OBC candidates- Rs.100/- only there is no fees for C/ST/PH- category candidates, fee can be paid through credit card/debit card or net banking or through Challan for OSSSC Warder post. As per official notification the age (As on31-Jan-2017) of candidates Minimum- 18 years & Maximum-25 years.